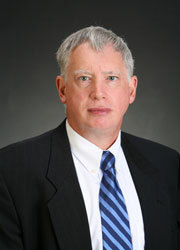 Terrance B. Mulhern – Managing Director, Chief Executive Officer. Terrance Mulhern has nearly 30 years of investment management experience both managing and consulting corporate ERISA plans as well as Endowment/ Foundation, Taft-Hartley and High Net Worth Individual client portfolios. Mr. Mulhern co-founded Seaway Advisors following nearly two decades of impressive success. He began in Boston where he obtained rare and unique experience serving Fortune 100 clients like Ford, Kellogg and Whirlpool for Wellington Management Co., a $700 billion dollar money manager. With this valuable experience, he seized an opportunity to return to his hometown of Rochester, New York, where he worked with a national recognized multi-billion dollar money manager, overseeing over $800 million dollars of client assets. Mr. Mulhern has a B.S. Degree from Le Moyne College and has completed several graduate courses in business at Harvard University Extension School. He spends his free time volunteering as a board member of the Catholic Family Center in Rochester where he also serves on the Finance Committee. He serves on the Catholic Charities Pension Committee. He's a Rotarian with the Rochester Rotary Club. Additionally he has coached Victor Youth Football and Soccer. He enjoys snow skiing and many water sports. His greatest pleasure is raising two children, William and Elizabeth, with his wife Karin. Mr. Brad McAdam has 30 years experience in investment management, concentrating on equity selection and portfolio management for individuals, pensions, trusts, and endowment funds. Mr. McAdam has an undergraduate degree in Economics from Cornell University and earned an MBA in Public Accounting from its Johnson Graduate School of Business. Mr. McAdam co-founded Seaway Advisors in order to provide clients with a disciplined value approach to investing borne during the Great Depression by Ben Graham with the flexibility needed in today’s environment. He combines strong fundamental stock analysis with an understanding of global economics that is needed to manage investment assets given the upheaval in today’s world economies. Prior to co-founding Seaway Advisors, Mr. McAdam was a partner with a local investment manager, serving as Director of Investment Research. 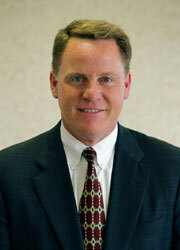 During his extensive career, he has experience managing client accounts, helping clients reach their investment goals. Before entering investment management, Mr McAdam was an accountant and earned his CPA. From 1984 – 1996, Mr. McAdam was with a large Rochester-based money management firm. As a junior equity analyst, he developed and served as portfolio manager of the firm’s first mutual fund, a small-cap fund. He capped his career as a Senior Equity Analyst serving on the Investment Review Committee with direct responsibility for over $700 million of client assets. Mr. McAdam is happily married to his wife Jennifer, who was one of his best friends in high school. He restores and shows classic cars from the 1960’s. He has been a past board member of the Rochester CFA Society and a past board member of the Ft. LaPresentation Foundation. He has managed two family trusts. He and his wife are members of the Memorial Art Gallery and the Frederic Remington Art Museum.